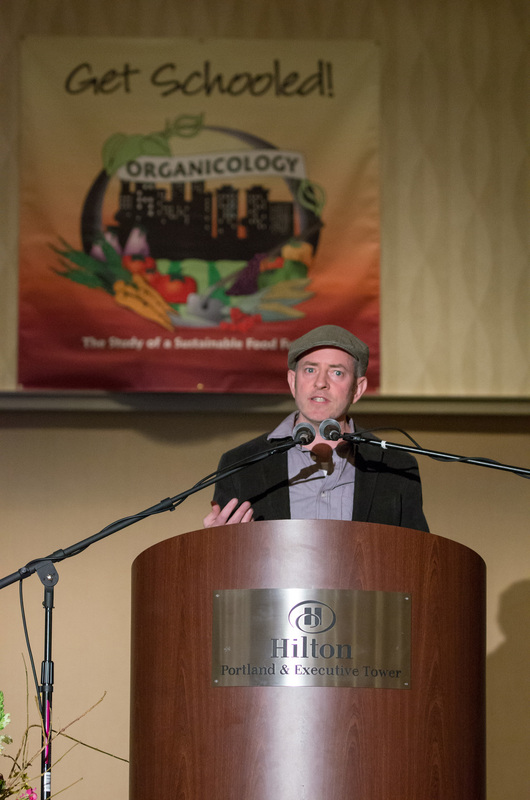 2019 will be the sixth Organicology conference—but we didn’t become the largest gathering within the organic trade overnight. It took many years of hard work from dedicated visionaries. Take a few minutes to browse through our archives and relive the history of Organicology. Our fifth conference was held February 2-4th at the Portland Hilton Downtown. Mas Masumoto is an organic peach and grape farmer on the Masutmoto Family Farm and the author of ten books including: Epitaph for a Peach, Wisdom of the Last Farmer, Heirlooms, Letters to the Valley, Four Seasons in Five Senses, Harvest Son, Country Voices, and Silent Strength. His latest book, Changing Season, A Father, A Daughter, A Family Farm was published in 2016 and written with his daughter, Nikiko Masumoto. He, along with his wife, Marcy, and daughter, Nikiko, published a family farm cookbook, The Perfect Peach in 2013. A feature documentary, Changing Season on the Masumoto Family Farm, about the theme of succession on a family farm, has been featured at film festivals and nationally broadcast on PBS in May, 2016. A third generation farmer, Mas grows organic peaches, nectarines, and raisins on an 80 acre farm south of Fresno, Calif. He is currently a columnist for The Fresno Bee and the Sacramento Bee. He was a Kellogg Foundation Food and Society Policy Fellow from 2006-2008. His writing awards include Commonwealth Club Silver medal, Julia Child Cookbook award, the James Clavell Literacy Award and a finalist in the James Beard Foundation Awards. Wisdom of the Last Farmer was honored as “Best Environmental Writing in 2009” by National Resources Defense Council. The Perfect Peach was named by USA Today as one of best summer cookbooks in 2013. He received the “Award of Distinction” from UC Davis in 2003 and the California Central Valley "Excellence in Business" Award in 2007. He is currently a board member of the Central Valley Community Foundation and the Public Policy Institute of California. He has served on the James Irvine Foundation from 2002-2014 and is the former chair of the California Council for the Humanities board. In 2013, President Obama appointed him to the National Council on the Arts, the board for the National Endowment for the Arts. Masumoto (62) is married to Marcy Masumoto, EdD, and they have a daughter, Nikiko, 30, and a son, Korio, 23. Eric Holt-Giménez, Ph.D. is the executive director of Food First/Institute for Food and Development Policy (July 2006—Present). Called one of the country's “most established food think tanks” by the New York Times, Food First’s mission is to end the injustices that cause hunger, poverty and environmental degradation throughout the world. Food First believes that a world free of hunger is possible if farmers and communities take back control of the food systems presently dominated by transnational agri-foods industries. Eric has published many magazine and academic articles on agroecology, development, food justice and food sovereignty and is author/editor of several Food First books, including: Food Movements Unite! Strategies to transform our food system (2011), Food Rebellions: Crisis and the Hunger for Justice (2009) and Campesino a Campesino: Voices from Latin America’s Farmer to Farmer Movement for Sustainable Agriculture (2006) in which he chronicles his involvement with this movement in Mexico and Central America over two and a half decades. Eric lectures internationally and teaches undergraduate and graduate classes and courses at the University of California, Boston University, Antioch University in Colombia and The National Gastronomic University of Italy. He has a Ph.D. in Environmental Studies from the University of California—Santa Cruz and a M.Sc. in International Agricultural Development from University of California—Davis. Nikki began her work in social change through the foster care system in Southern California, where she directed Foster Youth Empowerment Workshops. She has a master's degree in African American Studies from UCLA, and is originally from Los Angeles. She currently lives in Oakland, with her husband. Matthew Dillon is senior manager of agricultural policy at Clif Bar & Company. He also is cultivator of Seed Matters, an initiative of the Clif Bar Family Foundation to improve organic seed systems. Matthew serves as the company’s liaison with state and federal officials on organic policy issues. He also works with leaders in the organic industry, non-governmental organizations and academia. At Seed Matters, Matthew directs efforts to conserve crop genetic diversity, protect farmers’ roles as seed innovators, and reinvigorate public seed research for the needs of organic food and fiber production. Prior to joining Clif Bar in 2012, he was founding director of Organic Seed Alliance. There he launched the nation’s first organic plant breeding research and seed production education programs. In 2012 he was appointed to serve on the USDA National Genetic Resource Advisory Council, advising the Secretary of Agriculture on strategies for maintaining agricultural plant diversity and strengthening public sector plant breeding. LaDonna Redmond, a food justice activist who was inspired to fight for a fairer food system after facing limited access to healthy, organic food in her Chicago community. She wanted healthy food, food free from GMOs, and food free from pesticides to help combat a number of food allergies her young son had developed, which wasn’t available in West Chicago. She turned to food advocacy to help create community access to fresh, healthy, pesticide and GMO-free food. Her goals were achieved by converting vacant city lots into urban farms. Neighborhood residents worked together to create these gardens and produce the food needed to create a healthier local community and food system. Redmond continues food activism by raising awareness of how access to healthy food contributes to a healthier community by reducing a wide variety of threats—from gang violence to non-communicable diseases such as obesity, diabetes, and heart disease. Her efforts have grown to include the launch of Campaign for Food Justice Now (CFJN). The CFJN brings to light themes of social justice, race, class, and gender to the food system and food movement. Moreover the CFJN addresses these concerns through developing community-based solutions, promoting social change, and teaching advocacy. Redmond has received much recognition and many awards for her efforts, including a Responsibility Pioneer in 2009 by Time magazine and the Green for All Fellowship in 2007. For five years she was a WK Kellogg Food and Society Fellow. In addition to being the education and outreach coordinator for Seward Community Cooperative in Minneapolis, she hosts a talk show called It’s Your Health on KMOJ-FM every Monday and writes a column for the Minnesota Spokesman Recorder called The Color of Sustainability. Entrepreneur, artist, author, ecology advocate, gardener, volunteer and meditation practitioner, Arran Stephens has passionately followed the beat of a different drummer for seven decades. Born on his family’s farm on Vancouver Island, Arran learned a valuable lesson from his dad: “Always leave the soil better than you found it.” This became Arran’s driving ethos – from opening a successful vegetarian restaurant in 1967 to founding Nature’s Path Foods in 1985 in partnership with his wife, Ratana. 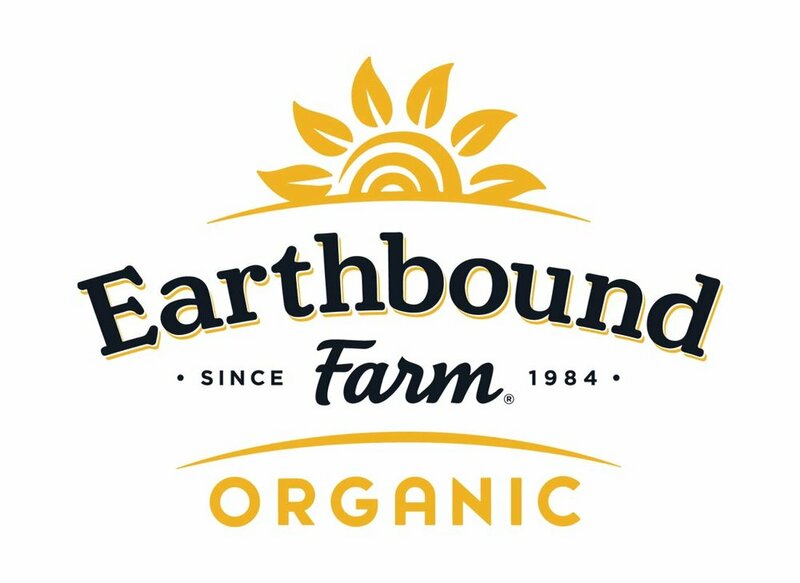 The family-run company has since blossomed to become the largest organic cereal manufacturer in North America and remains a fiercely independent legacy brand today. With independence comes the freedom to lead and invest in issues close to his heart - Arran served on the Organic Trade Association board during the development of the USDA Organic Rule, was a founding member of the Non-GMO Project and has been an avid supporter of federal and state-level mandatory GMO labeling initiatives. To support the growing demand for organic grains and legumes and attract more organic farmers, Arran has spearheaded the purchase of over 5,640 acres of organic land managed in partnership through crop sharing. For his decades of service Arran has been a recipient of many industry awards and accolades including Ernst & Young’s 2002 Entrepreneur of the Year, the Schumacher Sustainability Award, the OTA 2013 Organic Leadership Award for Growing the Organic industry, in addition to being inducted into the New Hope and CHFA Halls of Legends. Arjan Stephens is propelling the organic movement forward as the executive vp of sales and marketing for Nature’s Path Foods. In his role, Arjan is responsible for leading Nature’s Path’s strategic direction in regards to product development, communications, sales, advertising, and packaging. In addition to the invaluable life-lessons learned from his grandfather, organic farmer Rupert Stephens, and his parents Arran and Ratana Stephens (founders of Nature’s Path), Arjan holds a Bachelor’s degree in History from Queen’s University and an MBA from the Illinois Institute of Technology in Chicago. Looking to champion Nature’s Path as a trusted name in quality organic foods, Arjan has led his team through integrated consumer awareness campaigns, grassroots organic gardening programs, an expansion into the European market, and the acquisition of Que Pasa Mexican Foods. This is in addition to wider issue-related projects such as sponsoring the award winning documentary GMO OMG, and backing of mandatory GMO labeling initiatives at the state and National levels. In support of the belief that everyone has the right to quality organic foods, Arjan and his wife Rimjhim spearheaded Nature’s Path’s Bite4Bite initiative, through which for every bag of Love Crunch granola purchased another is donated to Food Banks, up to $1 million annually. In 2012, Arjan was named one of Business in Vancouver’s Top 40 under 40. Our third conference was held February 7-9th at the Portland Hilton Downtown. We upgraded to a larger facility to accommodate the growth of our conference. Well over 800 people attended Organicology 2013 and became part of one of the largest networks in the organic trade. Take a look at our line up and get energized for 2015--it's less than a year away! 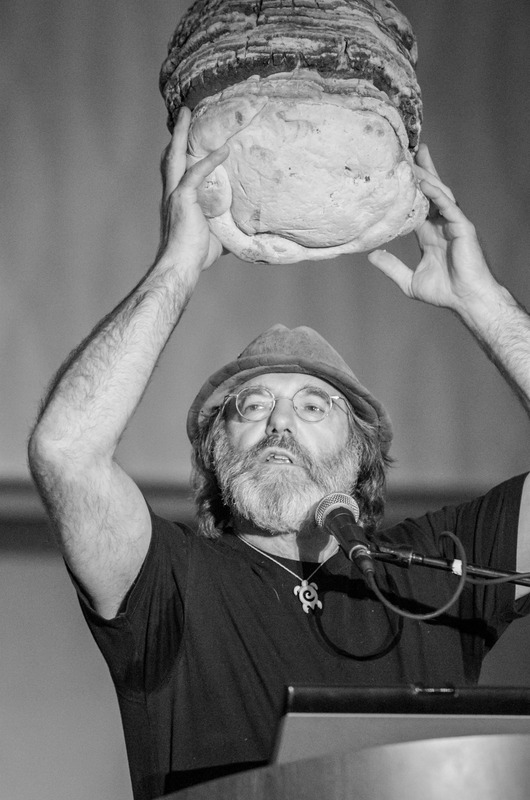 Researcher, hiker, explorer, author and dedicated mycologist for over 30 years, Paul has discovered and coauthored four new species of mushrooms, and pioneered countless techniques in the field of edible and medicinal mushrooms. His groundbreaking research in bioremediation and ecological restoration for mushroom cultivation has not only earned him numerous achievement awards, but also an honorary Doctorate of Science (D.Sc.) from the National College for Natural Medicine in Portland, Oregon. His books Growing Gourmet and Medicinal Mushrooms and The Mushroom Cultivator (coauthor) have long been hailed as the definitive texts of mushroom cultivation. Much of the financial resources generated from sales of goods from Fungi Perfecti are returned to further research in the field of mycology. King Corn co-creator and FoodCorps co-founder and Executive Director. In a multimedia presentation that mixes humor, film clips and fresh thinking, Curt took us on a personal journey through the movement to reconnect Americans to the meals they eat. Traveling from college campuses to cornfields, from rooftop farms to locally sourced school lunchrooms, we saw how food––that most fundamental thing––could be the key to spreading sustainability, justice, equity and opportunity across our country. After growing up in Oregon and finding his passion for food and agriculture at The Mountain School and Yale, he moved to Iowa to investigate the role of subsidized commodities in the American obesity epidemic. The film he co-created there, King Corn, received a national theatrical release and PBS broadcast, helped drive policy discussion around the Farm Bill, and earned a George Foster Peabody Award. Under his Food and Community Fellowship with the Institute for Agriculture and Trade Policy, he helped launch the mobile garden project Truck Farm and directed Big River, a sequel to King Corn, for Discovery's Planet Green. Ellis is a Draper Richards Kaplan Social Entrepreneur and a recipient of the Heinz Award. Food and Ag Blogger and co-founder of Maverick Farms. Tom is well-known for his role as a writer and editor in many media outlets covering topics in food news. Currently a food blogger for Mother Jones, his work on food politics has also appeared in Grist, Newsweek, Gastronomica, and the Guardian. In September 2008, Food & Wine named him one of "ten innovators" who "will continue to shape the culinary consciousness of our country for the next 30 years." He is also the co-founder of Maverick Farms in Valle Crucis, North Carolina. Maverick Farms is an educational non-profit dedicated to promoting family farming as a community resource and reconnecting local food networks in High Country of North Carolina. Maverick Farms’ Farmer Incubator and Grower (FIG) program represents the next step in their mission to bolster the local-food economy and educational tools designed to train and equip a new generation of farmers. February 10-13th were the dates for our second biennial conference. With renewed vigor and a shared desire to reunite, attendees from our initial conference couldn't wait to host yet another Organicology. The new schedule, the same great education tracks, and fun-filled events made 2011 conference a hit with old and new friends! Andrew Kimbrell is one of the country's leading environmental attorneys and the author of several articles and books on environment, technology and society, and food issues, including Your Right to Know: Genetic Engineering and the Secret Changes in Your Food (2006). He became Executive Director of the International Center for Technology Assessment (ICTA) in 1994 and Executive Director of the Center for Food Safety in 1997. He is one of the country's leading environmental attorneys, and an author of several articles and books on environment, technology and society, and food issues. His books include 101 Ways to Help Save the Earth (1990), The Human Body Shop, The Engineering and Marketing of Life (1993), The Masculine Mystique (1995), and general editor of Fatal Harvest: The Tragedy of Industrial Agriculture (2002) and the Fatal Harvest Reader (2002). His articles on law, technology, social and psychological issues have also appeared in numerous law reviews, technology journals, popular magazines and newspapers across the country. He broadcasts daily radio commentaries that are carried in more than 150 commercial and public stations, on the web, and on Radio for Peace International. Each month, he publishes a populist political newsletter, "The Hightower Lowdown," which now has more than 135,000 subscribers, which has received both the Alternative Press Award and the Independent Press Association Award for best national newsletter. February 26-28th will forever be remembered as our humble but fierce origin. This was the dream, finally materialized by the machinations of many visionaries from movers and shakers within the organic and sustainable agriculture trade. While we've come so far since our inception, Organicology will always remember its roots and the dedication of many individuals who gave their time and energy (maybe some blood, sweat and tears) to breathe life into the study of a sustainable food future. Claire Hope Cummings is an environmental lawyer, journalist, and the author of Uncertain Peril: Genetic Engineering and the Future of Seeds (Beacon Press, March 2008). Claire’s stories focus on the environmental and political implications of how we eat and how food and farming reconnects us to each other and the places where we live. She brings three decades of broad experience in agriculture to her work. She has farmed in California and in Vietnam, where she had an organic farm on the Mekong Delta. For four years she was an attorney for the United States Department of Agriculture’s Office of General Counsel. For the last 15 years, Claire has been active in the local food and farming movement in the San Francisco Bay Area, helping to found the Marin County food policy council, and serving on the boards of organizations such as Earth Island Institute, Community Alliance with Family Farmers, Food First, and the Elmwood Institute—the predecessor organization for the Center for Ecoliteracy. Claire was awarded a Food and Society Policy Fellowship in 2001. She currently advises The Columbia Foundation’s sustainable communities and food system programs. A journalist since 1983, Paul Roberts writes and lectures frequently on the complex interplay of economics, technology, and the natural world. Roberts has also written for The Los Angeles Times, The Washington Post, and The (UK) Guardian and has appeared in Slate, USA Today, The New Republic, Newsweek, The Christian Science Monitor, Rolling Stone, and Outside magazine. The End of Food follows the successful publication of his first book, The End of Oil, published in 2004. Roberts was a finalist for the National Magazine Award (1999) and for the New York Public Library Helen Bernstein Book Award for Excellence in Journalism in 2005. A long-time observer of energy issues and politics, Roberts appears regularly on national and international television and radio news shows, including CNN’s Lou Dobbs, the BBC, PBS NewsHour, MSNBC, CBS Evening News, and on NPR’s Morning Edition, On Point, Weekend Edition, and Fresh Air. He lives in Washington State. Vandana Shiva, physicist, feminist, philosopher of science, writer and science policy advocate, is the Director of The Research Foundation for Science, Technology and Natural Resource Policy. She serves as an ecology advisor to several organizations including the Third World Network and the Asia Pacific People's Environment Network. In 1993 she was the recipient of the Right Livelihood Award, commonly known as the "Alternative Nobel Prize". A contributing editor to People-Centered Development Forum, she has also written several works include, Staying Alive, The Violence of the Green Revolution, Biopiracy: The Plunder of Nature and Knowledge, Monocultures of the Mind and Water Wars: Privatization, Pollution, and Profit, Soil Not Oil: Environmental Justice in Age of Climate Crisis.